The hurdler sprinter from Fellbach is extremely successful in his age group: his sporting career will lead him to the Olympic Games 2024 in Paris. 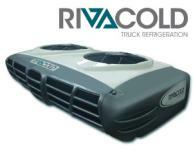 THE COOL ON THE ROAD: A COOLING SYSTEM FOR EACH VEHICLE. The cold chain must not be interrupted. Rivacold offers specially designed solutions that include pre-assembled ceiling mounting equipment, accessory kit and control box, also in cold transport modes.